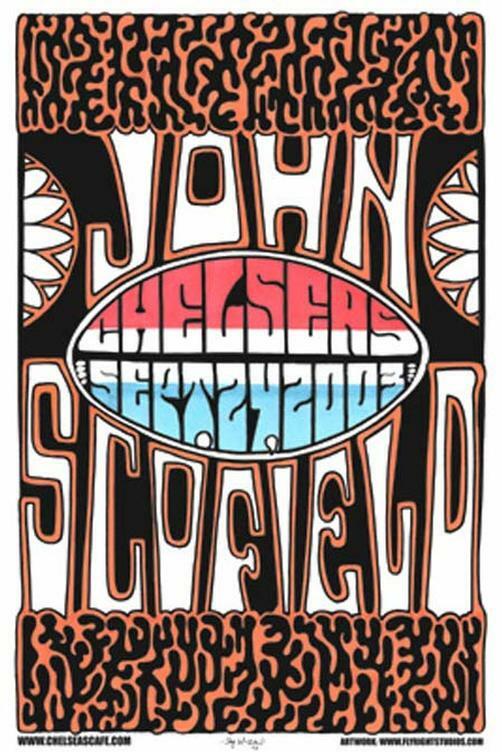 Original concert poster for John Scofield at Chelsea's Cafe in Baton Rouge, La . 11" x 18" on card stock paper. Signed by artist Jay Michael.